Air pollution inside five of Delhi’s top schools reached three times the safety levels set by Indian authorities – and eight times the level set by the World Health Organisation (WHO), according to Greenpeace research. The snapshot of air pollution experienced by children in Delhi’s classrooms highlights the health risks faced by children living and going to school in India’s capital – one of the world’s most polluted cities. These include the aggravation of asthma and irritated eyes as well as the increased risk of lung cancer, heart disease and bronchitis. It also provides a stark contrast between the lack of provisions put in place for children experiencing heavy air pollution in Delhi compared to China’s capital Beijing, where school-aged children are stopped from doing sports outside and schools have been building clean-air domes to protect children. 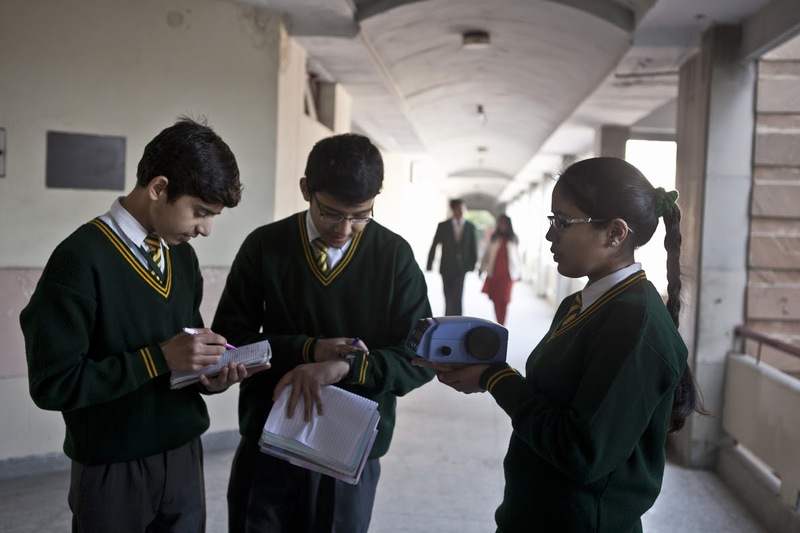 The research measured the levels of PM2.5 – fine particulate matter, which can affect respiratory and cardiovascular health as well as increasing the risks of lung cancer – inside five schools spread across Delhi. The data was collected throughout one day for each school (though the sampling took place over a few weeks), and from this sample a daily average and daily peak were calculated. Dangerous air pollution inside the schools ranged from 155 to 236 micrograms per cubic metre – 205.8 on average (mean). Air pollution on those days spiked at 209 to 253 micrograms per cubic metre depending on the location. The daily average of the schools was eight times the daily average recommended exposure limit of PM2.5 set by the WHO, which is 25 micrograms per cubic metre. This works out as more than three times the daily average Indian air standards, which are set at 60 micrograms per cubic metre. Dr Vikram Jaggi, director of Asthma and Allergy Centres, based in Delhi, warned of the increase in asthma cases during the winter months, which coincides with the heaviest air pollution – and coal burning. “The winter of 2014 has particularly been a bad one for the asthmatics, the consistency in the smog resulted in an increased number of asthma cases for almost a period of three months,” he said. PM2.5 is particularly dangerous compared to other, larger particulate matter as it can reach deep inside the lungs when inhaled and also enter the bloodstream. In Delhi, there are no safeguards – precautionary measures or health advice based on pollution levels – in place to protect children and other vulnerable citizens during very unhealthy air pollution episodes. In contrast, Beijing has an emergency air pollution threshold of daily PM2.5 levels breaching 150 microgams per cubic metre. When Beijing’s emergency threshold has been passed, alerts are issued on the radio and TV. Action is taken depending on the severity of the air pollution, including measures such as reducing numbers of cars on the road, ‘vulnerable’ groups such as the elderly and children staying indoors, and power plants being instructed to cut emissions. Unlike China, where the long road to healthy urban air has recently begun, India’s pollution problem is getting worse, corresponding with increases of particulate matter emitted by coal plants and industry as well as cars. The planned expansion of coal burning in India will double or triple the amount of premature deaths from air pollution by 2030 – which was up to 115,000 in 2012. India is already the world’s third largest emitter of greenhouse gases. Despite an agreement to between Indian PM Modi and US president Obama at the start of the year to act on climate change, Modi didn’t pledge to curb emissions from coal.